My Hugo nomination has brought a sudden burst of media interest in China. Some have asked me how my life will be changed; I want to tell them there will be no change at all. The nominated story, “Folding Beijing,” was published two years ago in Chinese. After that, my life has gotten busy. I’m busy with the natural flow of life, a river that won’t be interrupted because of a few waves spraying foam against the bow of the ship. I’m not a fulltime writer, and I won’t become one in the future. I have a job that requires dedication, that makes me run to catch the subway every day, traverse the bustling city, swipe the card at the office door, and work late and long hours to meet deadlines. Writing is like the crystalline bubbles in a tributary of my life; I know where the main stem of my life lies. I wrote a story about inequality, and it has won some recognition and praise. I suppose you can say this is some sign that inequality is a problem that resonates across the globe. Indeed, inequality is a troubling problem. Why do we have inequality in the world? And why is it so hard to eliminate? Let me be clear: “Folding Beijing” represents just one of the many ways I’ve thought about inequality. It may be the most vivid, but it certainly isn’t the most important. In one sense, the entire economic history of dynastic China can be understood as the history of struggles against inequality. Numerous dynasties engaged in reform measures such as land redistribution into equal tenements, enacting laws to prevent the wealthy from acquiring large estates by squeezing off small tenants, etc. But even if land ownership was relatively even at the beginning of a dynasty, waves of mergers into large estates eventually swept through the country until tax reforms by the middle of the dynasty had to accept unequal land ownership as a fact. Indeed, if the regimes had insisted on resisting the economic impetus driving such mergers, the economy of the country would have stayed at the relatively primitive stage of inefficient household farms. Throughout this process, successive Chinese governments committed many violent errors and acts of tyranny, but their intentions and goals were often positive. If we broaden our perspective to today’s world, the problem remains unsolved. Some small countries or city-states which stand near the top of our global economic value chain have indeed mostly achieved equality, but down the value chain live many larger populations still mired in poverty. If the chance presents itself, I want to write A History of Inequality in the future, chronicling humanity’s millennia-long war against inequality (and our repeated defeats). We still see no sign of true victory, at least not at this moment. I may not get a chance to write such a book for a long time. Actually, part of my job actually involves research into this question. I’m employed by the China Development Research Foundation. I’ve been there since the day I got my PhD, more than three years ago now. From time to time, people ask me: What sort of investment do you make? I have to clarify this: the foundation is a nonprofit research organization that makes no investments at all. We were founded by the Development Research Center of the State Council (DNC), but our operations are independent. Most of our projects involve: research on specific topics, organizing conferences, knowledge exchange with other research institutes, public interest work, and so on. The foundation is responsible for organizing many research conferences. Every March, an international conference called “China Development Forum” is held at Diaoyutai (the government’s guesthouse complex), and the last one was attended by both the premier and the vice premier, as well as more than eighty of the executives of the Fortune Global 500. The foundation also has specific research projects directed at questions of policy. Some of the research is commissioned by the government, others by private companies. These projects cover economics, sociology, and management. The results of the research are generally presented as policy proposals, delivered to the commissioning party or the DNC. Another important part of the foundation’s work involves public interest research intended to benefit children from rural, poverty-stricken parts of China. I get emotional whenever I have to talk about this aspect of the foundation. I can’t express the depth of my admiration for my colleagues’ dedication to their task. These projects involve the most remote, poorest parts of China, and those working on them spend most of the year away from Beijing, staying in villages without modern conveniences, visiting each family one by one. Some of my colleagues kept on working even when they were pregnant, riding bumpy buses through dusty roads for hours to reach their destinations. The foundation suggested a nutritional supplement program for children from rural, poor regions, and the program is now national policy. The foundation also built kindergartens for children in mountainous regions left behind when their parents left their ancestral villages to be migrant workers in distant cities. A poor county might contain a hundred tiny villages scattered in the mountains, and the foundation would build a kindergarten in every single village. These children might not see their parents for the whole year, and receive practically no education before they are old enough for school. We don’t necessarily know what it means to win the race of life at the starting line, but we certainly know what it looks like when children fall behind at the starting line. Compared to the enormous population of China, the efforts of the foundation are so insignificant it is like trying to rescue a burning house with a single cup of water. But even such small efforts, maintained over years, may still make a difference. This is why I won’t leave my job. Even if I were to win the Hugo, it won’t have much impact on my life. I need that persistence, that sense I’m part of a worthwhile effort, with a set direction. Secretary-General Lu Mai at the foundation has already spent decades traversing the country on behalf of children from rural, poor regions, and the children’s welfare is all he thinks about. Many of my colleagues are not interested in pretty words; they’ve spent years on their projects, having seen much and accomplished much, but rarely do they talk about what they’ve done. But I can see in them the hardened strength I need. Their actions tell me that in this superficial world filled with cynical laughter and ironic detachment, there are still some who hold onto their ideals and try to make them come true. Even the most magnificent fireworks will fade after a moment, but steady strides, one step after another on solid ground, will bring hope of change. The foundation is a small group that can touch First Space, but chooses to cheer on Third Space. We’re not many, but we’ll never give up. 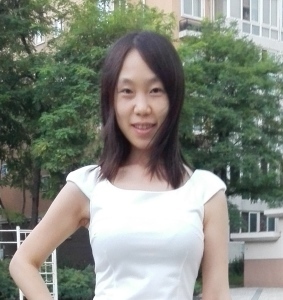 Hao Jingfang has an undergraduate degree from Tsinghua University’s Department of Physics and a PhD from Tsinghua in Economics and Management. Her fiction has appeared in English various publications, including Lightspeed, Clarkesworld, and Uncanny. She has published three full-length novels, Wandering Maearth, Return to Charon, and Born in 1984; a book of cultural essays, Europe in Time; and several short story collections, Star Travelers, To Go the Distance, and The Depth of Loneliness. 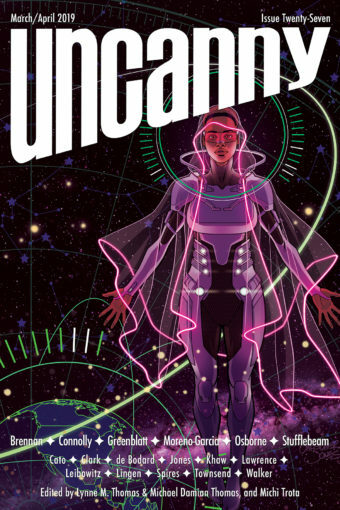 In 2016, her novelette, “Folding Beijing” (translated by Ken Liu), was a Hugo finalist. 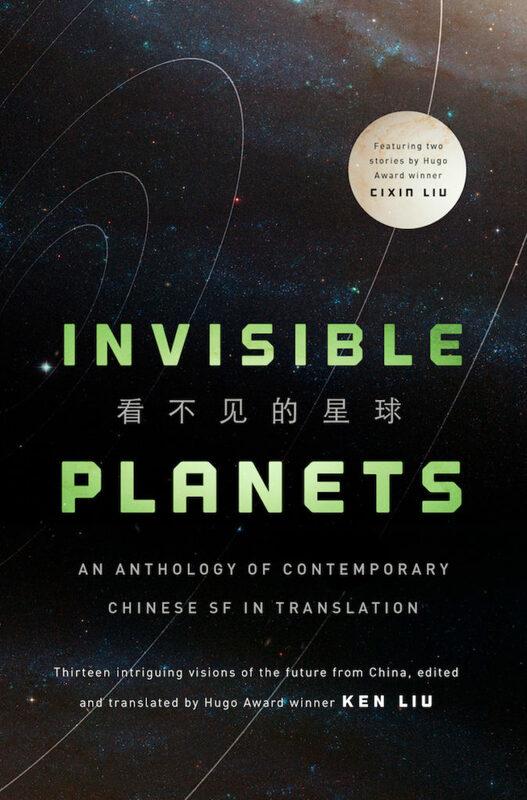 Several of her stories, including “Folding Beijing,” are collected in Invisible Planets, an anthology of contemporary Chinese SF edited and translated by Ken Liu.